Noah had oral surgery this week. The surgery was performed under general anesthesia because the surgeon had to cut open the roof of his mouth and extract a set of unerupted extra teeth. The surgeon explained to us that it was a little bit harder than expected and that Noah would be very sore for a couple of days. He strongly emphasized that we should give Noah the hydrocodone syrup he prescribed. Noah experienced intense pain almost immediately after groggily climbing into the car and our drive home was twenty minutes of agony, for him physically, and me emotionally. Meanwhile, Joel went to Walgreen’s to fill the prescription. (We had both been at the surgery center and were now dividing and conquering.) We dosed Noah within minutes of arriving home. We settled Noah into the recliner with a pillow and blankets, his favorite show on the t.v., and an iced tea next to him on the coffee table. His tears subsided and we crashed after having maintained cheerful façades of not being worried, despite being worried. Both of us have seen and experienced first hand the “risks” of surgery, personally and professionally. And, Noah is our worrier and he had been quite tense in the days leading up to the surgery. We trusted our surgeon, but letting our son roll down the hall away from us on a stretcher to a room full of strangers was harder than we dared think about, much less say out loud. About thirty minutes after taking the hydrocodone, Noah, who by now was loopier than a rollercoaster, sat straight up and slurred woozily, “Mom, this medicine is SO GOOD!” He climbed out of the recliner and began wobbling around the family room while holding his mug of iced tea like an alcoholic clutching a flask. He was so unsteady that we told him not to walk up or down the stairs. Yes, it is good. Good medicine, good outcome, and our good humored little boy. 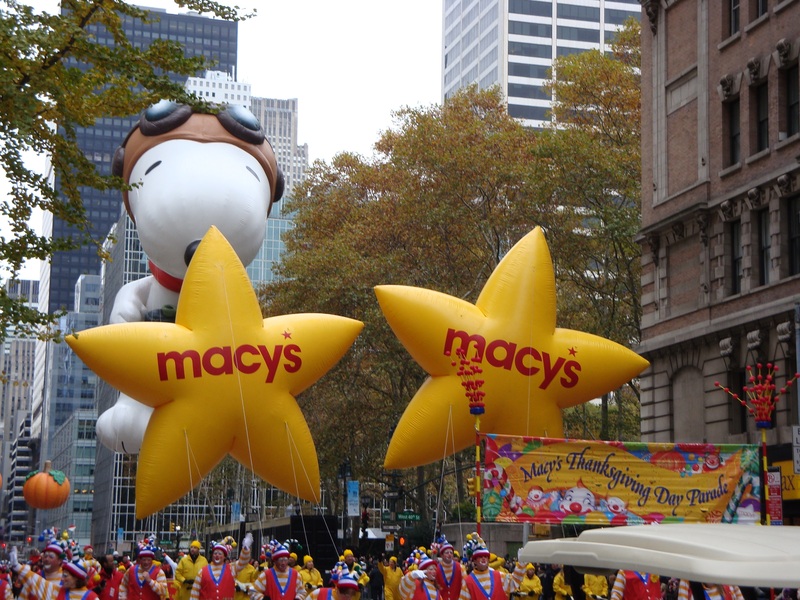 As a child I loved watching the Macy’s Thanksgiving Day Parade on t.v. while Mom, or my grandmothers, or some combination of relatives cooked in the kitchen for Thanksgiving lunch. (Always lunch and always served precisely at Noon. Supper was turkey sandwiches on toasted bread with leftover sweet potato casserole with marshmallows and the last of the pumpkin pie. And, that is how it remains to this day.) The floats, the tethered and oversized character balloons navigating the narrow city street canyons with skyscraper walls, the Radio City Rockettes, the live performances of Broadway musicals, and the general festivities of the parade captured my imagination and attention. I hoped that one day I would go to New York City and watch the parade in person. The term “bucket list” hadn’t been coined in those days, but attending the parade was definitely on my bucket list. And, also as a child, my sister and I antagonized each other. I am older than my sister, Cyndi, by exactly two and a half years. Cyndi had a Pillsbury Doughboy doll which she loved. 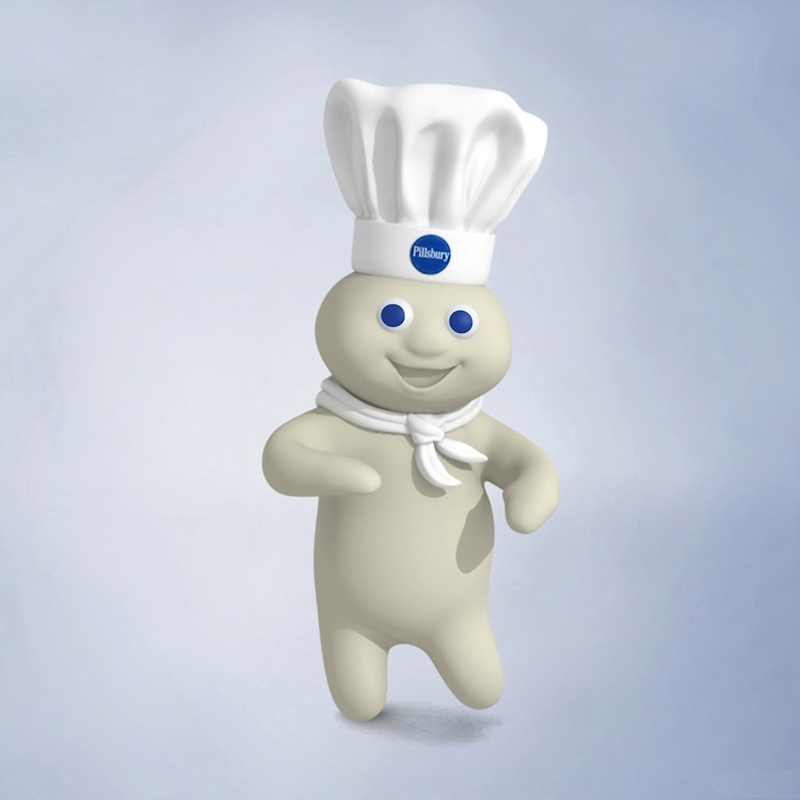 The Doughboy was exactly like the doll on the commercials ….opaque white, soft molded plastic with royal blue painted eyes, and it giggled when you poked it in the tummy. But, I didn’t have one and in the depths of my dark and sinister six-year-old heart, I devised a plan to do away with The Doughboy. Although I was a fairly good child, the Doughboy brought out a terrible side to me, much like the poem about the girl with a curl who was good, but when she was bad, she was horrid. I snuck a pair of scissors from the kitchen drawer and stalked boldly down the hall and into Cyndi’s room. Her beloved stuffed animals and other toys were strewn around her on the floor where she sat playing. I picked up Doughboy, held him aloft in one hand, and said to Cyndi menacingly, “I am going to kill the Doughboy!” while waving the scissors back and forth. She began crying and pleading for me not to kill him. I will! I’m going to do it! No! Please, no! I gleefully stabbed Doughboy in the bellybutton. Pfffffftttttt. He deflated and collapsed inward on himself, and instead of the usual happy giggle, a small pitiful squeak trailed off into silence. 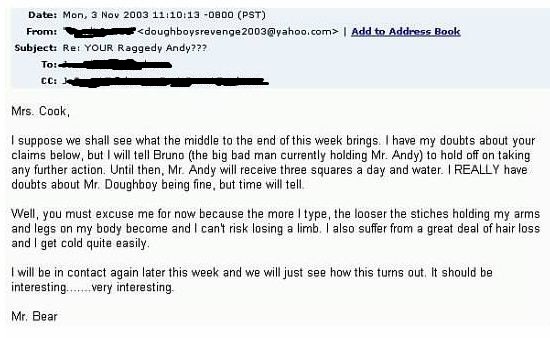 Doughboy became limp and flimsy, much like a popped balloon. Cyndi wailed. I gloated triumphantly. My mother, hearing the commotion, came down the hall and swiftly grounded me in my room. No matter. 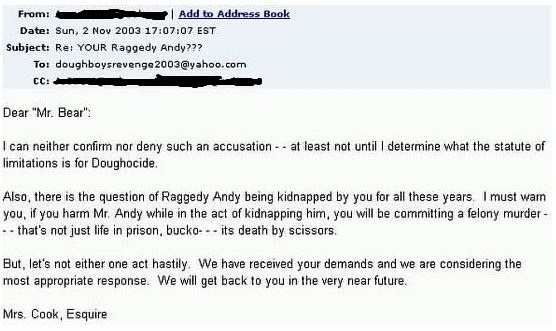 I was a self-satisfied six-year-old assassin. The Doughboy massacre became the stuff of family folklore. Cyndi and I joked about it over the years, and into adulthood. We even told my children about it, who enjoyed endless delight at hearing stories about their mother misbehaving. Cyndi and I each have a Pillsbury Doughboy cookie jar in our kitchen as a reminder of that darkly funny afternoon. Then, about thirty years later, when I was a mom to newborn twins, I found a Pillsbury Doughboy on E-bay. He was the exact Doughboy who met a sad end at my elementary hands, and he was still sealed in his original packaging. After hawkishly watching the bid, I secured him. I called Cyndi to proudly tell her Doughboy was on his way to her. I had made amends. Better late than never, right? 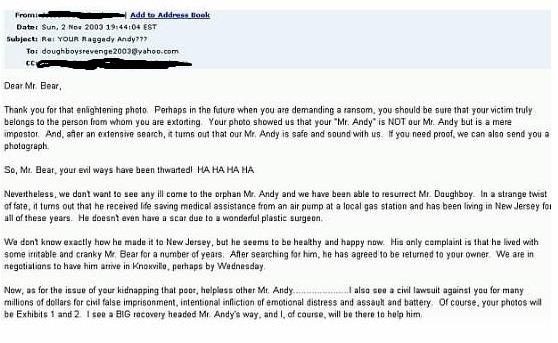 Clearly, Mr. Bear had taken drastic measures with Andy as displayed by the photographic evidence he provided. But the photo only proved to work against him and was, in fact, the turning point in the situation. “Mr. Bear” relented from his threats of immediate harm. The hostage negotiations bought some time. And, as it turned out, Doughboy went on to become a big star. Bigger than anyone could imagine. In 2010, Cyndi and I took my three children (ages 7, 7, and 5 ½) to see The Macy’s Thanksgiving Day Parade in New York City. It only took me until I was forty-two, but never mind, I was finally there! Cyndi secured our front row seating on Sixth Avenue by waking up early and staking out our spots before 6:00 a.m. She used each child’s pillow pet as a space saver (It’s a pillow! It‘s a pet! It‘s a soft seat on the sidewalk! ), and fended off other squatters from overtaking our places. Meanwhile, I woke, fed and dressed all three children before braving the crush of people who had accumulated and were now standing or sitting along and in every nook and cranny of the sidewalk. Several million people turn out for the parade and I have never seen a crowd to equal that throng. We burrowed through the crowds to Cyndi and proudly sat on the curb. The cold November air nipped at our faces, but we were warm with coats, scarves, gloves, hats, and a couple of blankets. We heard the muffled rumble of distant thunder coming down Sixth Avenue. The marching band and drum corps signifying the start of the parade were within sight. Suddenly, all the things I had watched on t.v. were real, colorful, and loud. The character balloons were tethered by thirty to fifty people (or more) each and they were far larger in person than they seemed on t.v. As they passed overhead the sky would darken then brighten again as they went by. Clowns ran by throwing out favors, musicians came over to the crowds for high-fives, police motorcycle brigades rode by in formation, policemen on horseback patrolled the street with the performers, and floats and high school marching bands streamed by one after the other for three hours. The atmosphere was festive and the pulsing beat of drums and excitement permeated the air. We were giddy, me most of all. And, then, we saw him. 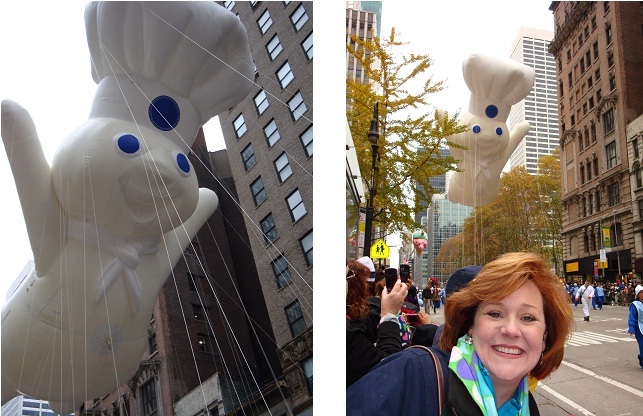 The Pillsbury Doughboy made his triumphant entrance onto Sixth Avenue. He floated over us without any remnant scar from his unfortunate stabbing. Noah teasingly yelled, “Oh no, go back! Go back! She has scissors!” It turns out that after living in New Jersey, The Pillsbury Doughboy found fame and fortune as a balloon float in the parade. He reached greater heights than could be imagined all those years ago. P.S. Cyndi and I very much want to be balloon handlers in the parade. Any guesses which balloon we want to walk with? But, our efforts so far to be handlers haven’t worked. If anyone out there has a connection, please let us know! I promise to leave the scissors at home! Joel “forbid” me—and we all know how well that works– from posting what I am about to post. You may recall that Joel is the culinary master in our house. Not long ago when I dared to comment on his method of cooking, he said to me, “You telling me how to cook is like me telling you how to practice law.” If this were a fencing match, his verbal foil pricked me. Point well taken. I can say, lovingly and thankfully, that Joel loves to provide sustenance to his family, and his neighbors. He inherited this trait from his mother, Vera. Vera serves a large Sunday meal to her family and assorted friends every single Sunday consisting of chicken, ham, biscuits, green beans, corn, mashed potatoes, sweet potatoes, okra, beets or other assorted vegetables, fruit molds, a couple of desserts, and sweet tea. She is a gracious hostess who whips up three course meals from nothing in minutes and needs no notice as to the number of people to be seated at the table. Joel does the same. Where I will look in the pantry and refrigerator and see nothing, Joel sees the ingredients for a hearty meal. I am no Vera. But, as Sanford used to say, “It’s the big one, Elizabeth! I’m coming!” I had that same thought minutes ago. Joel just caught our microwave, the brand new one we installed not two weeks ago, ON FIRE! I am so thankful I was not the one to do it, because I would never hear the end of it. So, may I just point out here, dare I comment on (use French accent here) Chef Jo-el’s kitchen expertise, even I know not to put jars in the microwave which have metal on them because…wait for it…. they catch on fire! I saw the sizeable orange and blue tipped flames in the microwave while his back was turned and I yelled “Fire! Fire!” He danced a nervous jig in front of the microwave while clumsily trying to find the stop button before the flames grew any larger. And, I was no help at all because I was laughing. We recently changed churches and the church graciously held a pot-luck supper to welcome us. Joel prepared our dishes to take and I took care of other things around the house on Saturday while he cooked. He was happy and I was happy doing things that suited each of us, and staying out of the other’s way. That is one recipe I do know….the recipe for a happy marriage. I truly paid zero attention to what he prepared. After the food was blessed, we began the line. With a line full of new people and future friends behind us, I lifted the lid to a green bean casserole and said sincerely, “Oh, this looks good! Who made it?” Joel said, “Honey, that’s ours.” Laughter rippled down the line of people. Well, I guess the cat had to be let out of the bag sometime. For future reference, dear friends, the Cook family contributions to fellowship suppers will be from Joel. Despite my ineptness and disinterest in cooking, I do like to prepare the Thanksgiving meal. Although grocery shopping makes me exceedingly cranky (what is all this stuff? what do you do with it? where is what I need? how many cups are in a quart? ), I take pride in at least fixing the turkey and dressing. Somehow I feel like a better mother when the family sits down for Thanksgiving and I parade in the perfectly browned turkey to display in the middle of the table, served with dressing that I made from Grandma Sweet’s recipe. We had two turkeys that meal. The dead one on the table and Joel. I chose Google and formatted a very simple blog. I submitted it and waited expectantly for the email link to activate the blog. To my astonishment, Google denied approval. Why? 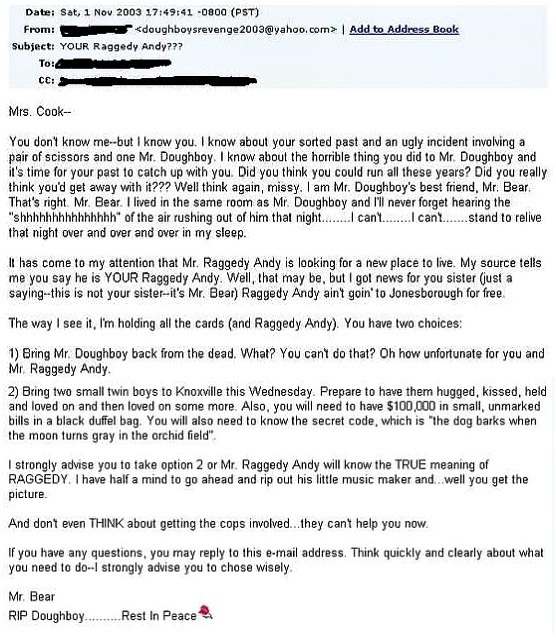 Well, I don’t know precisely except that the Google “team” sent me an email saying that my name–my real name —“violated their community standards.” Seriously?! What precisely about my name, Suzanne Sweet Cook, is offensive? Whose community and whose standards do I violate? Does it translate into something terrible in another language? Is there a limit to only two names and I didn’t get the memo? Is it suggestive of the stage name of, ahem, an “adult” star and I don’t know it? Now, in the spirit of full disclosure, I could understand if I had submitted my childhood nickname, which was nauseatingly cute: Suzy Sweet. Yes, that was my name all the way through college and a master’s degree. If I had a dollar for every time people asked me if that was my real name, then my children would have a sizeable trust fund by now. But, I grew up, entered law school and shed that name for my given name, Suzanne. (But, old and new friends are still welcome to call me Suzy!) And, although I never intended to take a husband’s surname, the reality of that ideal smacked me in the face when I married a pastor. Try explaining to a congregation why your name isn’t the same as his! Practicality and peer pressure won out over youthful principles. Um, hello Google? How about just Googling me, you know, through your own search engine and seeing that I have an online presence already established under this exact name? And, your Google Earth car drove by my house not too long ago, so I know that you know who I am and where I live. But, apparently when my parents named me all those years ago, and then when I married, the great names policy in the sky was not consulted. I hope I am not on a no-fly list somewhere. Does Google have that power too? So, starting a blog wasn’t going to be easy. I eventually found Word Press and was given the freedom to just be me. As Sally Field once said, you like me, you really like me! I was restored to respectability! I found a community I didn’t violate. I owe much to my sister, Cyndi. And, in truth, she is the one who should have a blog, not I. She is the funny and witty one in the family, and she is also quite technically advanced. (I still think a co-blog titled “The Sweet Sisters Say” would be fun.) Cyndi spent many hours combing through my Facebook posts and converting them into the new blog format, and offered encouragement during many phone-calls as we set up the theme, colors, and layout. I expect that she will guest blog from time to time. 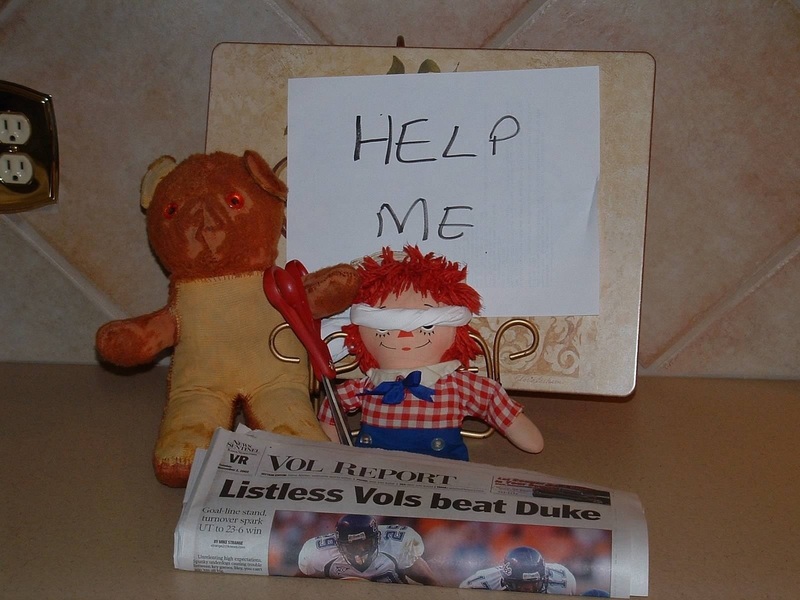 And, Joel hopes that perhaps my stories about him will lead to some small amount of compensation. As I write this first post to my new blog, I feel a mixture of emotions, but mostly self-doubt, writer’s block, and a sense that this might be the least read blog ever. Thank you to all the friends and family who have encouraged me to write more. And, thank you to all of you who fritter away your time reading my ramblings. Does Mom Know About This? If you know Joel well, then you know that he never met a garage sale he didn’t like. And our basement is full of oddities that were a “good deal”. I suppose that would be in the eye of the beholder, because my eyes see worthless clutter. And, if you know me well then you know that the garage sale habit irritates me. A LOT. Apparently, Noah has noticed the issue. Joel found shelves for the basement today at some business that was closing and giving away…not even selling…their stuff. Old metal warehouse shelves.